2 Buyer beware CLAD over leave behind leaflet Beware of doing it "on the cheap"
Increasingly in today’s market, consumers are seeking solid, or partially sold roofs. This to either replace a tired conservatory, or build from scratch, a new structure. 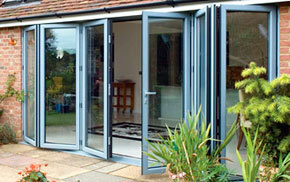 Many are seeing this as a viable alternative to an extension built by a builder. The benefits of buying from an experienced local company with a great reputation are many. These include fixed price work, project management and a one stop shop. Others simply want to update their existing conservatory where they may have experienced cold in winter and hot in summer seasons in their conservatory. 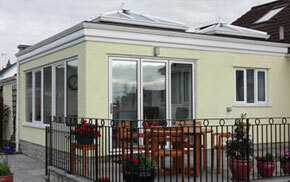 With the costs of moving house escalating, for some of our customers, extending their home is the only viable option. We have the knowledge, experience and expertise to ensure we offer the right advice, and product for your application. We offer a range of solutions, and a few of these can be seen in the brochures above. Unlike many suppliers we are not affiliated to any single brand or product, and we can therefore offer the very best impartial advice. 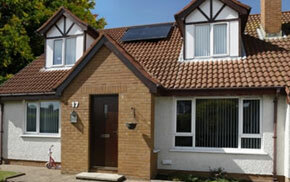 “Building Regulations” approval is required for solid roof extensions and conversions. 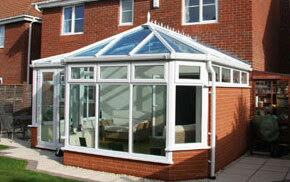 The requirement applies whether you are building from scratch, or simply replacing your conservatory roof. Previous versions of the regulations quoted a specific percentage of glazed area required for the structure to be exempt. These are no longer in the document. Working with all Local Authorities in the region we are able to ensure your work is properly certified. This gives you peace of mind and ensuring there are no hiccups should you sell the property. Do beware of many in our market offering seemingly too good to be true offers on solid roofs. With no building regulations certificate you have zero comeback, and as the attachment above highlights, every risk. Why not talk to us today about your options? We offer free advice, designs and quotations.